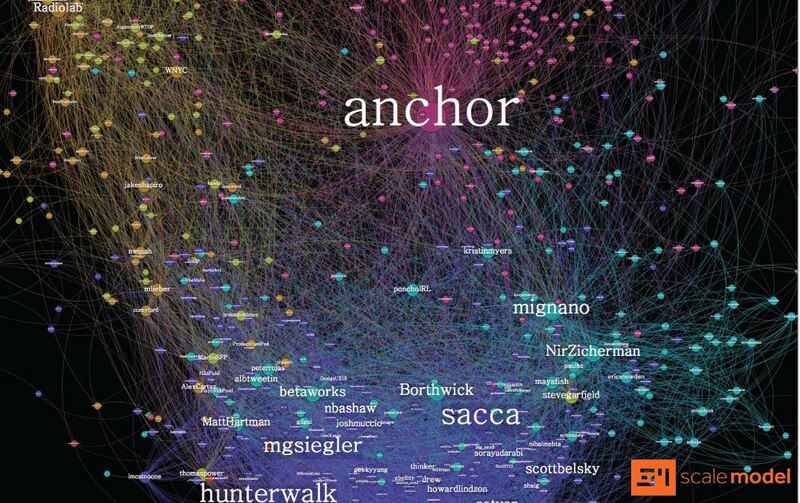 My post 3 ways to Blow out Influencer Marketing Results explained how network science can identify strategically placed influencers, the ones who can spread you r message far and wide. The post was inspired by Kelsey Liebert’s Moz article about creating the Majority Illusion, and Gilad Lotan’s post The Network is Everything. Who is the person connected with, directly and through others? For which topics does the influencer hold sway? In which online communities (e.g. social channels and topics) is the influencer active? Which influencers are best positioned to bridge communities? Still, there are some obvious questions about how to best apply the approach to marketing. “Network science” does not roll off the tongue of the average marketer or social media manager. So when I saw Buzzfeed VP of Data Science Gilad Lotan speak at a NY Internet Society event, I thought it would be a great opportunity to learn more. I approached him after and asked if I could follow up with some questions for this blog. He agreed – please see below for the Q & A (my questions are in bold). I’ve seen Little Bird, are there other commercial solutions for applying network science to influencer marketing? Little Bird uses Twitter data. Is it possible to create network graphs for other platforms, or across networks? If you have a mapping of users across networks it’s possible. Otherwise, it’s obviously difficult. Wherever relationship data is available, it is possible. Instagram used to be more accessible. Is it tough to model these and overlay topical/vertical affiliations (or do the above vendors do this)? I suspect Graphika does this. Can marketers use open source or low-cost or free Web tools? It is possible to leverage some freely available Twitter data. Otherwise, it is generally hard to get access to the follower graph of a service. The Moz story said that you don’t need to build a social network graph – yet it is not clear to me how you would otherwise identify the right influencers. Any thoughts or ideas? What they’re suggesting is effectively a proxy for betweenness. People followed by others across verticals is an attempt to find these “bridges” – the accounts that sit in strategic positions in the graph. That said, it is hard to assess whether two “verticals” are actually disparate / consist of different clusters of users, without looking at the underlying network. Do you need to hire an army of consultants or buy an expensive solution? I don’t know if you need an army of consultants. A good first step is to use some of the available tools. Another is to hire a data analyst or data scientist who can start to collect relevant graph data. There are lots of freely available open source tools for graph analysis. You just need coding abilities to get access to the data, and to manipulate it into a graph structure.